Carry each other’s burdens, and in this way you will fulfill the law of Christ. 3 If anyone thinks they are something when they are not, they deceive themselves. When I think of a team, I think of a group of people carrying each others burdens for the purpose of accomplishing a task or goal. 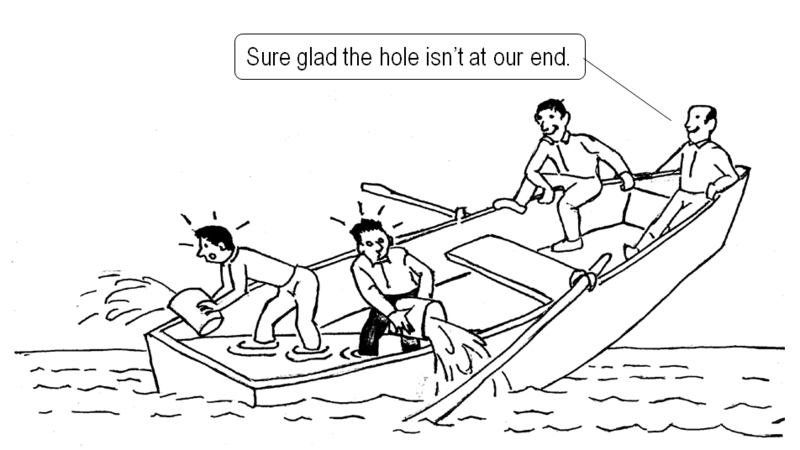 A team helps each other out when they are falling behind or encourages one another to push forward. When I was in the police academy, we would go on “short” runs in the mornings to start our day. I’m not a runner at all and to them, short meant about 4-5 miles. Our definitions of a short run did match up at all. I did my best to not fall behind but there were days (like the day I ate McDonald’s before a run) where I just couldn’t keep up. My friends would slow down to my pace and encourage me to keep going. They understood the value of a team and they knew it wasn’t about who finished first, it was about finishing together. But even though my friends encouraged me and ran at my pace, I still had to run. I had to finish myself, and they couldn’t carry me. I had to take responsibility for myself and finish. Whatever your calling is, whatever job you have in God’s kingdom, it’s important. For some, it’s eternity important. If just one of us shows up for rehearsal or worship and did not take responsibility for their part, everyone suffers. The mission suffers……the kingdom suffers (Whoa that’s pretty heavy….I know). We have been called to make disciples of Jesus Christ. Jesus didn’t say that we could only use words. Some of us have gifts and talents that don’t use words at all and that is how we serve God. That’s great! God uses all of us as a team…..a unified body…..to deliver his message. We are a team! Take responsibility for your gifts and talents because God expects you to do something with them (see Luke 12:48 above). Use them to boost the team and teammates. Carry each others burdens as well as your own because we are a team and the world is counting on us. How can you be more responsible with your gifts and talents? Are you being responsible to your team? Do you arrive on time? Do you arrive prepared? Do you have a good attitude? Are you being responsible to yourself? serving where you are not called/passionate? going through the motions? taking appropriate down time? See an area that needs improvement? Have you offered to help improve it? Maybe God is calling YOU! Last week we talked about excellence and how striving for it is a reflection of the posture of your heart. This week I want to talk about excellence, perfection, and how they can work hand in hand. On one hand, perfection can be a hammer used to demoralize you and make you feel inadequate. On the other hand,if used appropriately, it can be used to guide you towards excellence. 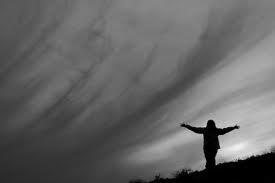 Forgive me, we are going deep today…..
God is holy- which means He is set apart, perfect. We are called to be holy like God because he is holy. We know that we can never reach the level of Christian perfection that Jesus modeled for us in this life because we are prone to sin. That doesn’t mean that we quit when we find out we can’t get there. Imagine if one day we all just gave up doing good because we are not perfect. It would be chaos! That is not the message of Jesus. We are everyday taking tiny steps to be better than we were the day before. Hopefully everyday we are reaching a level of Christian excellence better than the day before. This is called “Sanctification” which means to be made holy. See where I’m going with this? Perfection is like our “North Star”. We can’t get there, but it gives us a direction. Imagine going the opposite way of perfection. I googled the opposite of perfection and this is the best answer I could find. “For the kind of perfection that is unattainable and something you only strive for, the opposite would be insanity–the opposite of being of sound mind and wanting to be something better. The opposite of perfection is…..chaos or insanity. We don’t expect perfection, that’s why we have grace. WE DON’T EXPECT PERFECTION, THAT’S WHY WE HAVE GRACE!!!! You can’t allow yourself to get put down when you realize you are not perfect. Anytime you measure yourself against perfection, you WILL fall short. Go into it knowing that. Don’t allow the idea of perfection to make you forget the process. It’s not about being perfect in this life, it’s about the process. The identification of perfection though, gives us a point to measure our excellence by. The only way we can identify when we are moving towards a better state of excellence is when we can measure it on the scale of perfection. 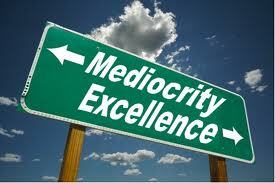 If we move towards perfection, we are more excellent, when we move away from perfection…..you get the idea. When your heart strives to be more like Christ is when you begin the journey of excellence in everything you do. But if we can’t achieve perfection, why should we strive for it? Well first of all, 1Peter 1:13-16 and Matthew 5:48 tell us to. Can you think of a better reason? Also, in our Wesleyan Theology, John Wesley believed that you could attain a perfect level of Christian love but could not attain a perfect sinless life. We are continually going through a sanctification process. If you are a disciple of Jesus Christ, you are changing your life to be in line with His teachings, therefore you are being sanctified. Get it?! It’s all about the process. How do you feel about perfection? Is it bad or good? How have you seen the idea of perfection used for good? bad? How do you feel about the notion of “perfection” giving you direction? How do you feel about your walk with Jesus? Are you being made holy? How can you use this idea of perfection and excellence in a tangible way in regards to your talents that God has given you? I’d love to hear your thoughts about this! Comment in the bubble next to the title. Have a great week! 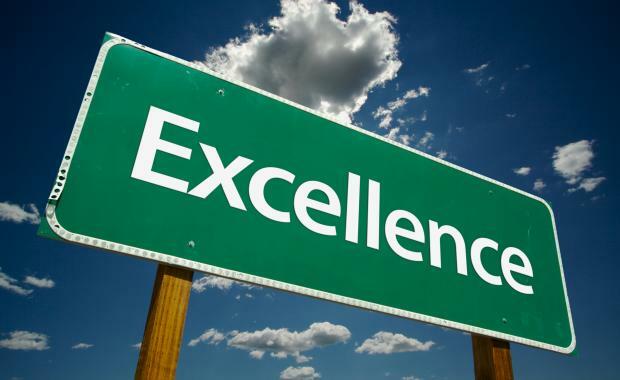 What’s the big deal with excellence? Can’t we all just show up to church and do whatever we want if we are doing it for God’s glory? I don’t have time to practice or research my craft. The leader of “insert ministry” wants everything to be absolutely perfect and I don’t think it’s that big of a deal. We all have busy lives. We all have non-church related pursuits. We all can’t live at church everyday. We all have families, jobs, hobbies, ambitions, kid’s stuff, etc, etc…. and then there is all of the stuff we do at church on top of it all. Our lives become a blur as we live by the clock racing to the next thing and before you know it, the first year of your child’s life has gone by and you wonder where it went (Asher just turned one by the way ). I’m with you. I feel it. As much as we would like to use the busy-ness of our lives as an excuse to give God our “second best” we have to persevere. God deserves our “first fruits.” We have to make time to multiply the gifts that God has given us. We can’t stay stagnate. Let’s first look at the parable of the talents. To tell you the truth, this passage scares the snot out of me. I don’t want to be the “wicked, lazy servant”. God has given me a “talent” for music. I have been taking guitar lessons for months trying to be better so that I can offer better music to God in worship. I read books and blogs about leadership so that I can faithfully multiply the ministries that I have been entrusted with but still, I get tired and worn out. I have to keep myself moving forward so I don’t get complacent. Don’t get me wrong. You need some down-time to recharge the batteries. You need quiet time with the Lord. YOU NEED VACATION!!!!! Christianity is a marathon, not a sprint. pace yourself wisely. At the same time pray about your gifts and how you can grow and multiply them for God’s glory. Check out these other scriptures, just to name a few, in regards to excellence. 7Their number who were trained in singing to the LORD, with their relatives, all who were skillful, was 288. Excellence is a big deal because it is a reflection of the position of your heart. Let’s help each other persevere and give God our best. What “talent” has God given you? How are you multiplying it for His glory? Are you ignoring a “talent”? Let’s keep the discussion going. Tell you me your thoughts about excellence. Looking forward to it! I have a confession….my devotional life has been lacking lately. I’ve been so caught up in “ministry” that I’ve allowed my spiritual disciplines to suffer. Ever been there? The truth is, while I’ve been doing ministry, I’ve cheated God out of our time together. I haven’t been putting on the full armor of God and I’ve felt attacked in the last few months. How are you putting on the full armor of God? Have you felt spiritually attacked lately? I’m starting this blog because I care about my spiritual disciplines and I care about the spiritual disciplines of those that I lead. We all need to spend more time in The Word. Let’s pray for each other and encourage each other. We are not alone in our faith journeys but sometimes we act as if that’s the case. If you don’t have a disciplined time to read and meditate on scripture I want you to take just a few minutes out or your week (let’s be honest- we all can spare a few minutes a week!) to read some scripture. I would like to use Sunday mornings as an opportunity to talk about it as a group and encourage each other as we grow in our faith. I’m leaving on vacation tomorrow but let Ephesians 6:10-18 be our start. Feel free to leave comments or questions below for discussion. Have a great week!